With the help of Dawn Powell, marine biologist, we explored the different creatures that live in the oceans from microscopic plants and creatures to blue whales. Dawn was joined by the project storyteller, Martin Maudsley who created songs and sounds for different creatures and mythical monsters that might inhabit Mudeford. 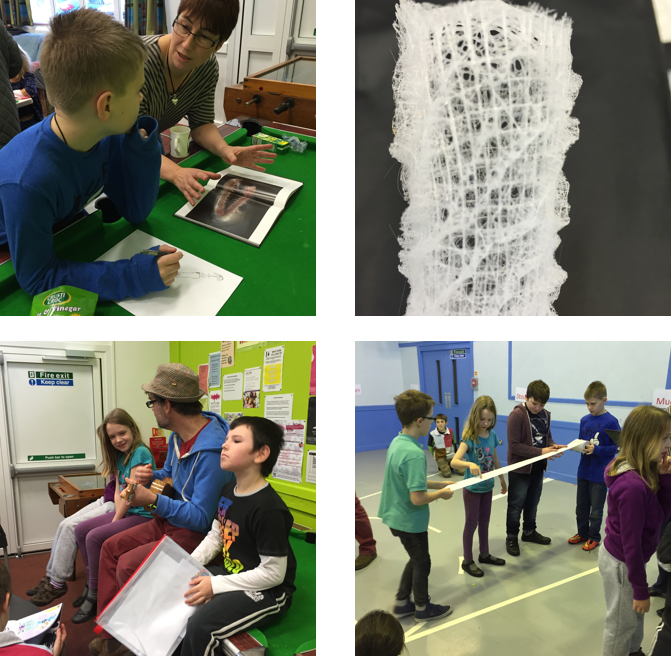 We used the sports hall to explore how deep the oceans really are - measured in sheets of loo roll - and how deep different creatures can dive to.